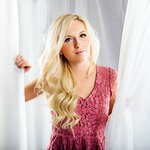 Radio Disney Artist Jessie Chris joined country music stars Kelsea Ballerini, Scotty McCreery, LOCASH, Mickey Guyton, Lindsay Ell and others and recorded a new single and music video titled “The Human Race,” an empowering anthem that premiered last week on Radio Disney and Radio Disney Country. Recorded in Nashville, Tennessee and distributed by the Disney Music Group on Buena Vista Records, it is available now on iTunes and available for free download on the T-Mobile Tuesdays app while supplies last on November 22. In conjunction with its release and in celebration of Radio Disney’s ‘Share the Joy’ campaign, a donation is being made to City of Hope, St. Jude Children's Research Hospital, Toys for Tots, Feeding America, and Musicians on Call.